Since my foray into outdoor markets this year, I have been investing in various things to make it a bit more fun. 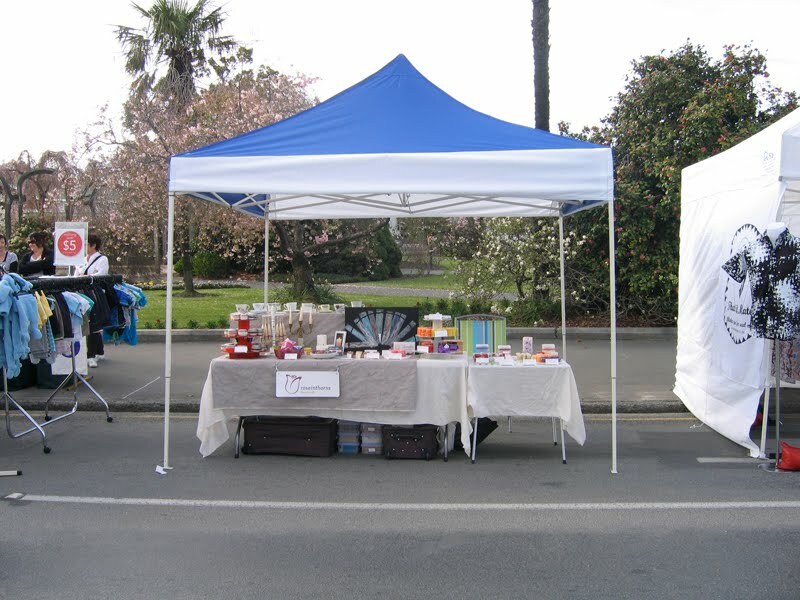 Like a heavy duty 3m x3m gazebo, which is really good for keeping the sun and the rain off. 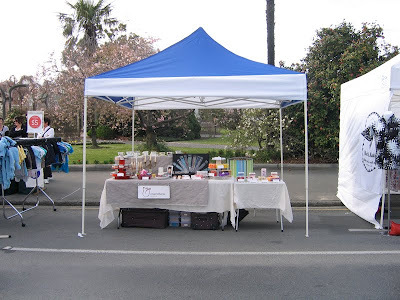 So, if you've thought about doing outdoor markets, but aren't so keen to invest in one yourself, I am happy to hire it out to any crafter that may like to use it. Of course I get first dibs, so it won't be available if I have a market on that day! It's also quite heavy, and wouldn't be very economic to post, so you'd need to be able to pick it up from Christchurch. If you would like to use it, you can email me on rose [at] roseinthorns [dot] co [dot] nz. It will cost $50 for a one day hire, or $70 for the weekend. I will give you instructions on how to put it up. It is quite heavy, but I am not very strong and I can almost put it up by myself, I just need to ask someone to help clip it in near the end. It is a heavy duty gazebo, and is designed to withstand wind gusts of up to 50km/h, but it is not recommend for use in strong winds. So if the forecast is for a gusty nor'wester, it may not be suitable. I also have a couple of trestle tables available as well, one solid one and one that folds in half, which may also be available for hire. pooooo gutted your not in Auckland!! !